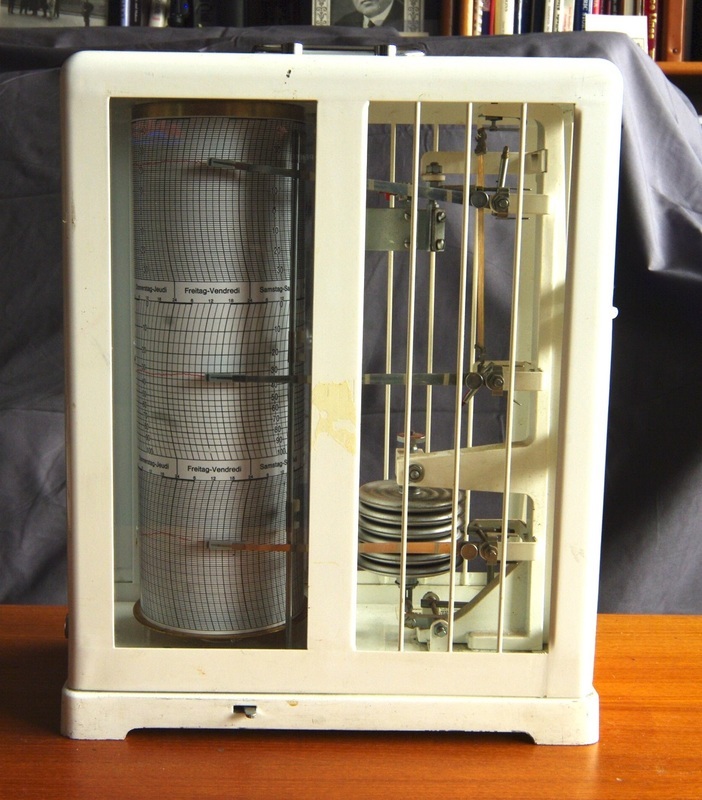 This meteorograph was made by Lambrecht in Germany and was used by Xerox in Rochester NY. It is shown in the 1977 and 1986 Lambrecht catalogs. It works well, but charts are a problem. It came with a used chart with temperature in Fahrenheit and pressure in inHg. I managed to find a supplier of new charts in Switzerland, but the new charts are in Celsius and there are no numbers or units on the pressure chart. If anyone has a jpg image of the clean Fahrenheit chart please contact me. A 1986 catalog description of the Lambrecht 253 is shown at left.